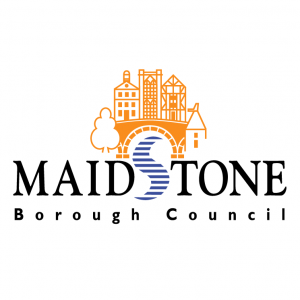 Maidstone Borough Council serves approximately 155,000 residents in 67,000 homes in the borough who rely on the many services it provides. The Environmental Services team look after Maidstone’s public spaces, providing a range of services from cleaning public areas, removing fly tips, cleaning up graffiti and removing dead animals through to litter picking, road sweeping and grass cutting, all with the aim of keeping the Borough’s environment clean and tidy. In common with many other local authorities, Maidstone Borough Council’s Environmental Services Department used to operate on a primarily paper-based system. Members of the public would ring into the contact centre with reports of fly tipping, abandoned vehicles and other such incidents. Contact centre staff would enter the details of the incident onto a CRM system. All the incidents added during a day would be stored on this system until 6am the following day, when paper copies of each job request were printed out and distributed manually amongst the department’s operatives. The old system was extremely labour-intensive in terms of call centre resource, operatives on the streets and management time. The information being collected from members of the public was of poor quality, meaning that operatives would go into the field without all the information that they needed in order to complete the job. Because of this, dealing with a single incident could require several trips. The time lag between the team receiving a report of an incident and the incident being dealt with could be several days. There was no way of communicating back to customers when their incidents had been dealt with so the team were getting complaints from customers who did not know the status of their incidents, leading to more calls into the contact centre and repeat visits to the site from operatives to check that the job really had been completed. The quality of the data collected from the operatives dealing with incidents tended to be poor as the paper-based system meant there was no way for them to accurately capture details of the incidents they were dealing with, quickly and efficiently whilst out in the field. In 2012 the Environmental Services Department began investigating ways in which technology could help them address the inefficiencies in the reporting and workforce management system. They considered various options as part of a comprehensive due diligence process before appointing Abavus to install its My Council Services Mobile Worker system. The new mobile worker system means that customer incident reports coming in via the contact centre or online can now be dealt with in real-time. Supervisors can automatically distribute tasks to operatives via their mobile devices. The operative immediately gets a map, a photo and a description from the customer of what needs to be done. Once the operatives have completed the job they are now able to close it on their devices which automatically closes it on the CRM system. Whereas before customers would get an email thanking them for raising this complaint, now they also get an email notifying them as soon as the job has been completed. Abavus has also helped Maidstone to embed geographical boundary information within the Mobile Worker solution, meaning that the system can now automatically exclude requests which come in from areas within the Borough for which the Council is not responsible, resulting in further savings of time and resource. The Council is keen to develop the use of My Council Services Mobile Worker beyond the Environmental Services Department and is considering how it could be more widely deployed. It is currently under consideration in the Parks Department, who currently operate a paper-based system for important processes such as the legal checks of playground equipment. Within the Environmental Services Department there is scope for the system to be further developed to enable more efficient routing of field operatives around the Borough, to track where vehicles are at any given time and to manage vehicle repairs and maintenance.